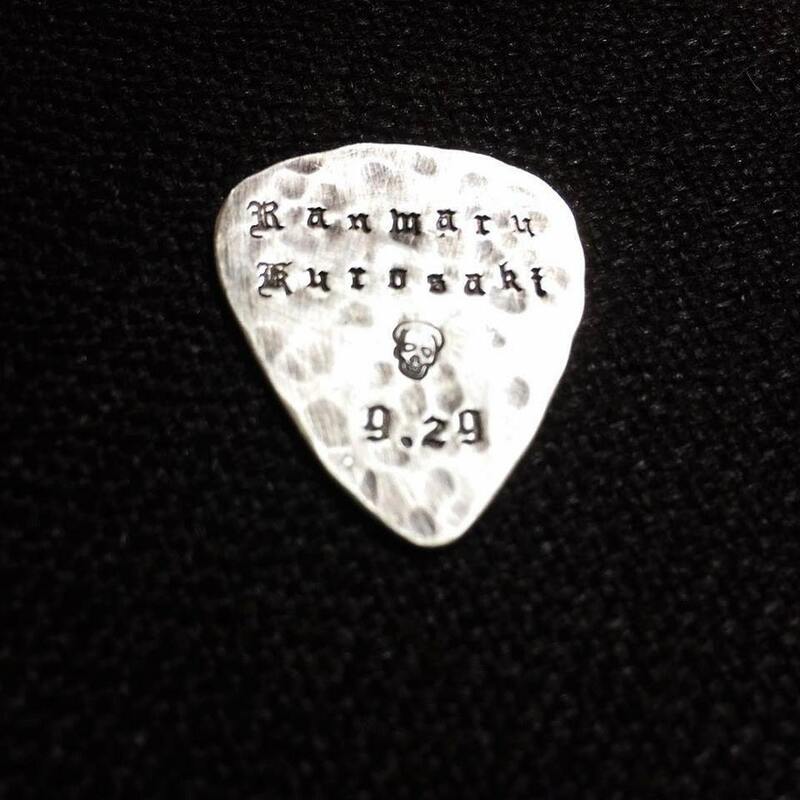 This is the coolest present - a hand-finished, thick, quality solid sterling silver guitar pick. 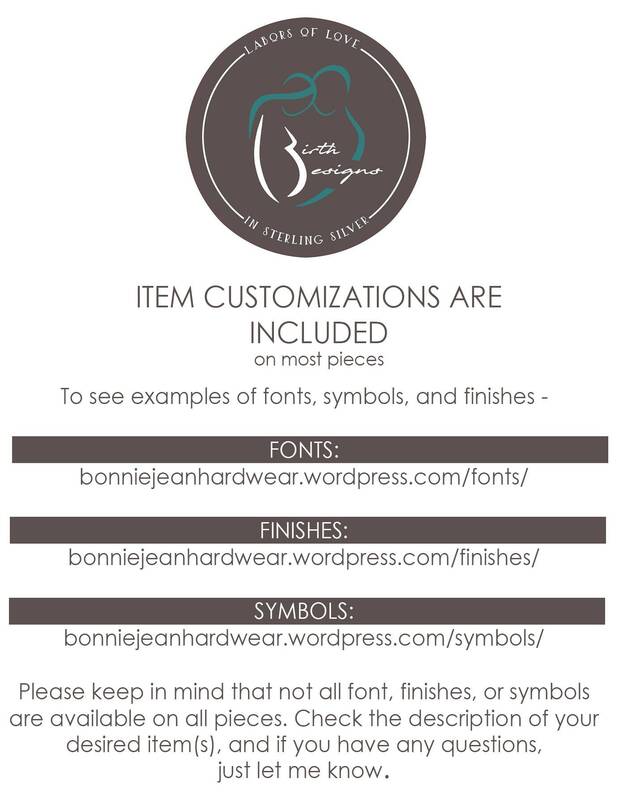 Offered in all of our fonts, and all of our finishes (shiny, brushed, and hammered/antiqued). It is completely functional, and was developed with a musician friend of mine for optimal play quality - great for slides. Upon special request, I can make it with a pointed tip, or thinner, for rhythm guitar use. We can also do it even thicker - up to 2mm - for specific applications. These thicker picks can be stamped on both sides (additional fee for second side stamping, available in our "A La Carte" section). The number of characters available will be dependent on the font chosen. Dimensions are approximately 27mm x 32mm x 1.2mm. Shown here in the hammered/antiqued style, which provides a unique grip for slippery fingers, as well. This particular piece was made for Rob Pattinson. 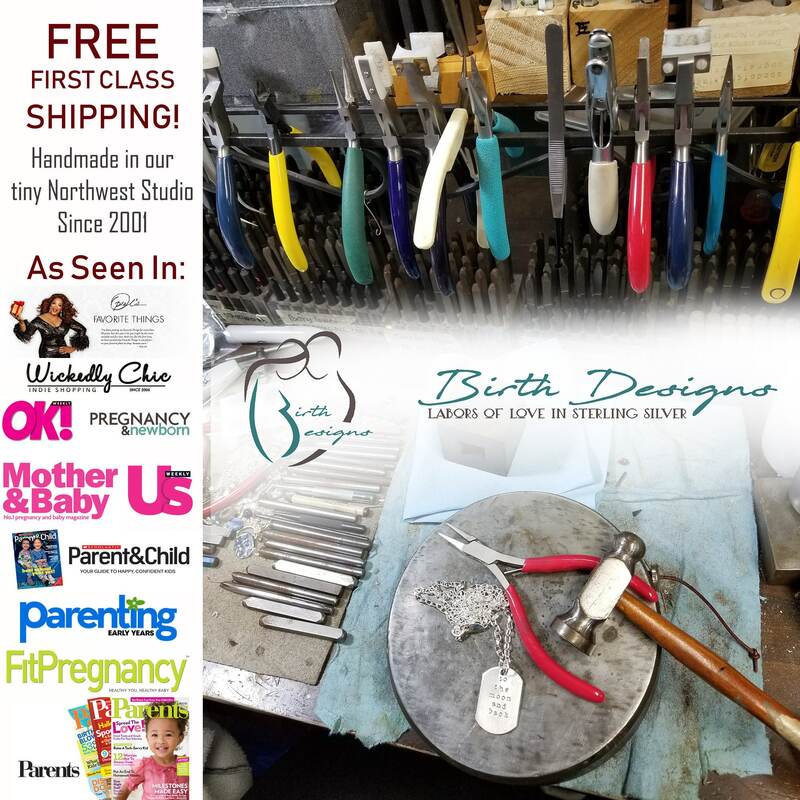 ♥ All orders are packaged in our custom and professional Birth Designs cocoa-and-turquoise boxes for women, or cream-and-espresso boxes for men. They include an information card about Birth Designs. We are happy to include matching gift cards at no extra charge if requested. 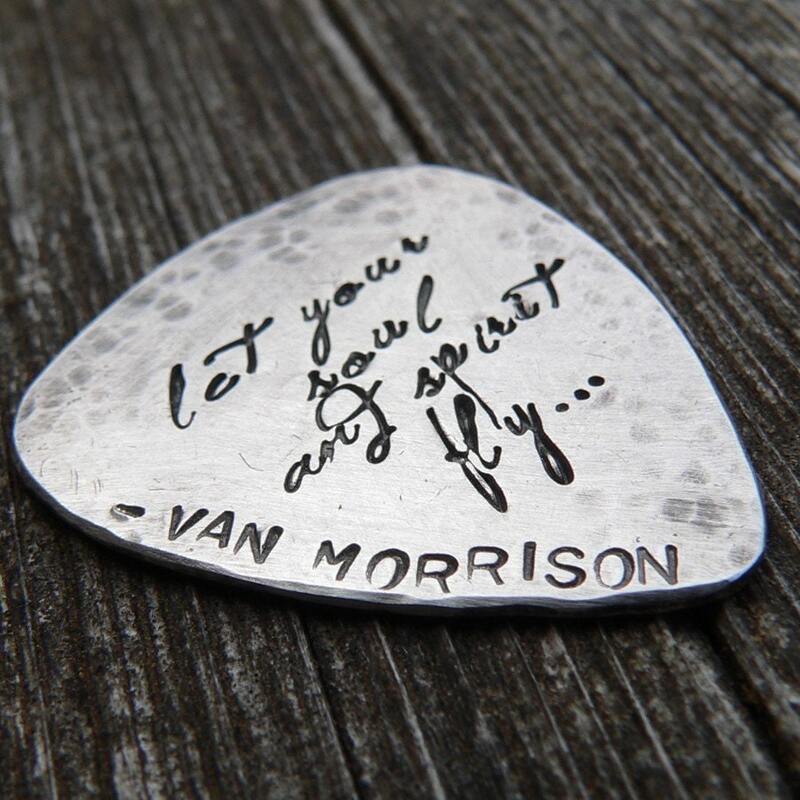 ♥ *all domestic orders* ship USPS First Class Mail unless requested otherwise. *all international orders* ship Priority International airmail unless requested otherwise. Very nice! The product is exactly as described. The packaging is cute too. 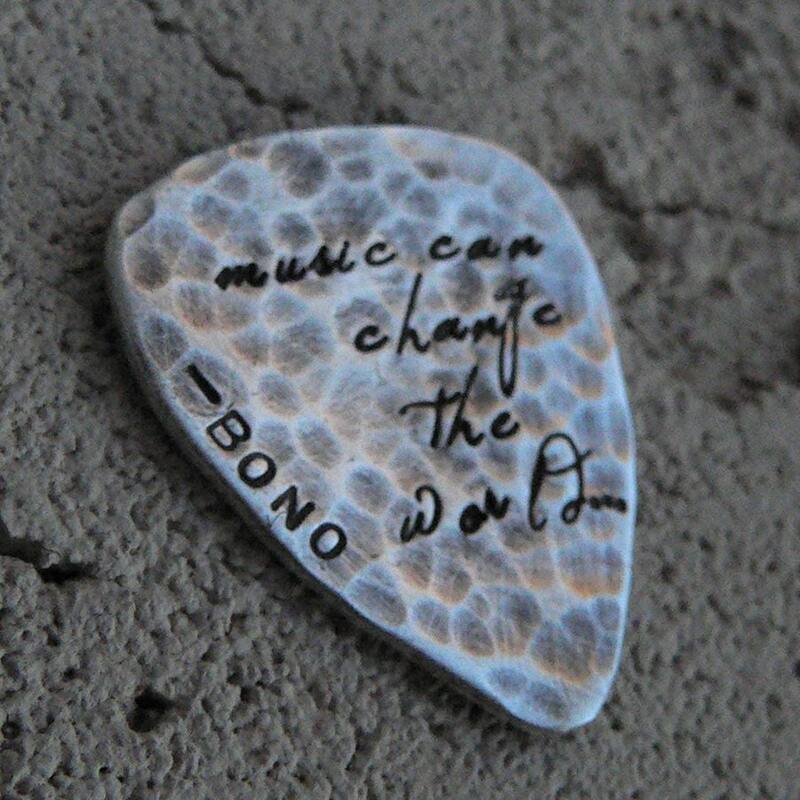 She did a wonderful job, the guitar pick turned out beautifully. Possibly the best service I've ever gotten! 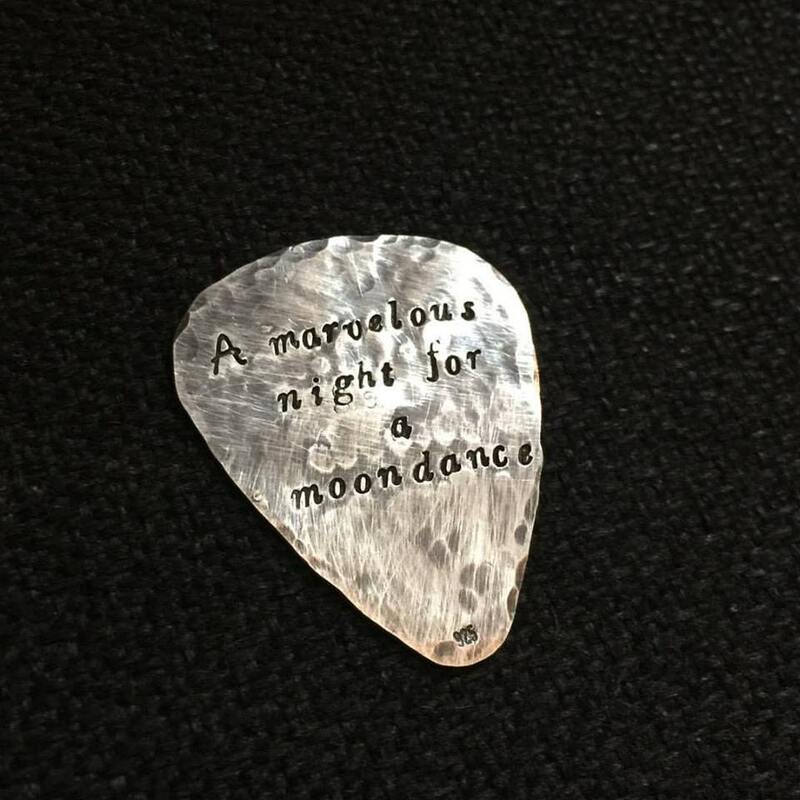 I ordered the engraved guitar pick (which says it takes around 4 weeks to ship) and I contacted Ms. Alvarez and asked if she could put just a TINY rush on it, like by only a few days. Well, she did better than that! She finished and shipped my purchase first class in record time! within 10 days of ordering, I found a package on my doorstep! 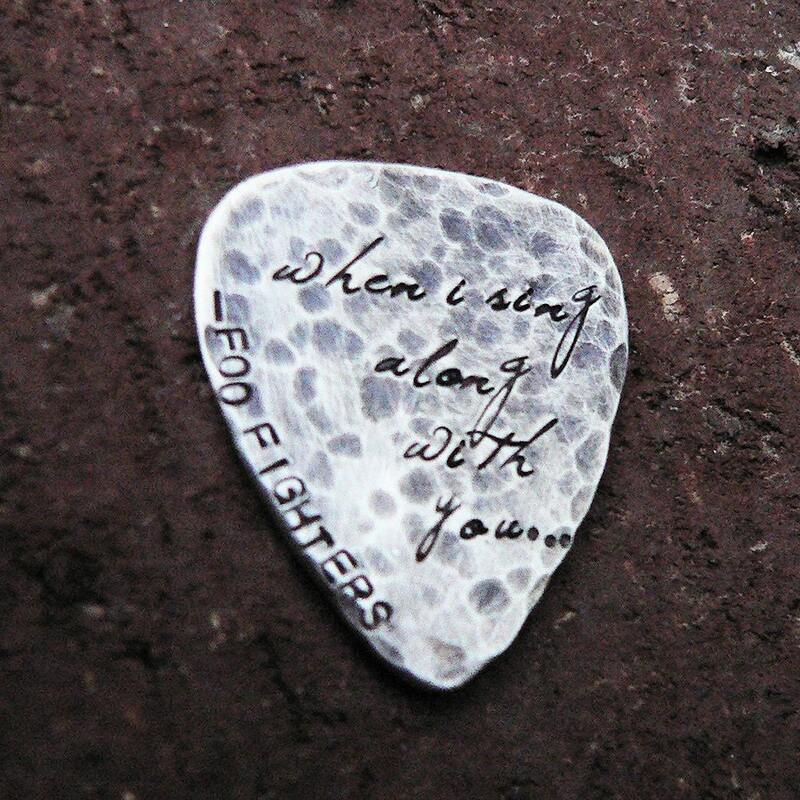 oh, and my guitar pick is exactly how I wanted it! It's beautiful! Awesome job Birthdesigns!